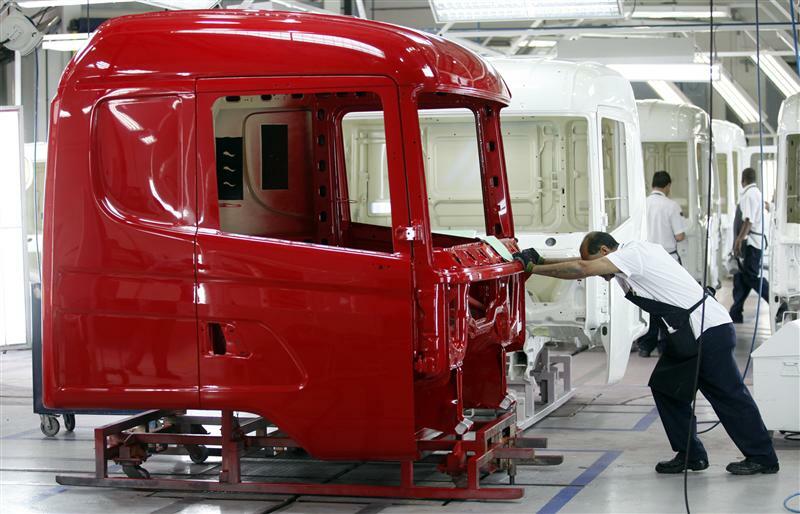 The German automotive group is offering a 53 pct premium to the Swedish truck maker’s minority owners. Cost savings cover the gap on paper but will take up to 15 years to materialise. And VW investors must stump up $2.7 bln while seeing little short-term benefit. On Feb. 21 Volkswagen announced that it wants to buy out minority shareholders of Swedish trucks division Scania for 6.7 billion euros ($9.2 billion). The German automaker said it will offer 200 crowns for each Scania share. Compared to the weighted average over the past 90 days, that’s a premium of 57 percent per Scania A share, which each have one voting right, and 53.3 percent per Scania B share, which have one tenth of a voting right. Volkswagen currently controls 62.8 percent of Scania’s share capital and 89.2 percent of its voting rights. The voluntary tender offer is contingent on Volkswagen getting control over more than 90 percent of the total number of Scania shares. Once that happens, the German group plans to squeeze out remaining shareholders and delist Scania. Its headquarters in Soedertaelje and its production capacities in Sweden are supposed to remain untouched. “We are launching this takeover offer to remove restrictions to a deeper cooperation between Scania and MAN,” Finance Chief Hans Dieter Poetsch said on a conference call. VW intends to sell up to 2 billion euros of preferred shares, issue hybrid capital of up to 3 billion euros and draw another 2 billion euros from its cash reserves of 16.9 billion euros to finance the bid. The offer document is to be published on March 14. The six-week tender period is scheduled to start on March 17. Scania’s B shares rose 32.1 percent to 194.9 crowns a share in early trading on Feb. 24. Volkswagen’s preference shares fell 6.3 percent to 188.35 euros a share.